Since Progressive Turnings' inception in 1979, we have continually reinvested in new capabilities to serve you better with more and larger machining capacities, higher accuracy, and new value-added services. Here's a brief summary of recent developments at Progressive Turnings. Added third new Okuma LT2000EX lathe in less than three years. Added fifth new Tsugami CNC Swiss-type turning center. Bought property next door, adding another 8,500 sq ft of plant space for a total of 22,500 sq ft.
February, 2016 Dave Niels becomes president of Progressive Turnings, and son Luke became vice-president. Developed new expansion plans to add a dozen CNC machines including lathes and possibly multi-spindle machines. Modern Machine Shop Magazine's January 2014 cover story, "Human Capital," features Progressive Turnings' in-house employee training program. Check out one of our classes shown on the cover, and then turn to page 66 for the whole story. Open article in new window. Please call 630.898.3072 for more information or a quote on your special machining needs. New Equipment purchases increase capacity. Modern Machine Shop Magazine article features Progressive Components in-house training. 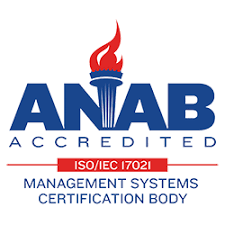 All our gages are calibrated by ANAB accredited services, traceable to NIST standards.